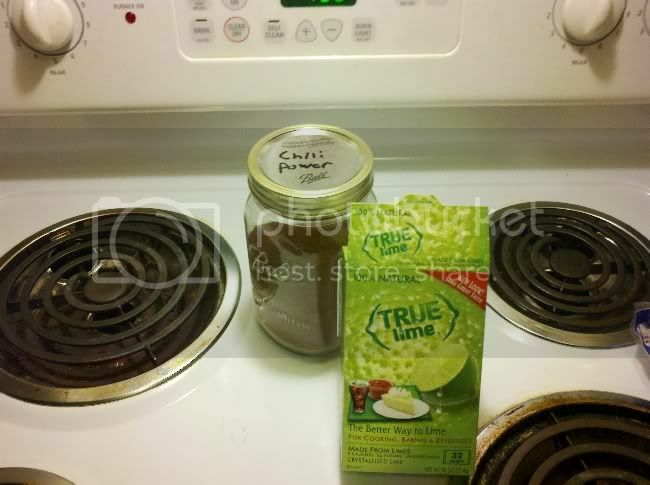 I have been looking at this product called True Lime Crystallized Lime and thinking it might work in a rub. The box of 32 packs is equal to 8 Limes. I used all 32 packets a total of .90 oz and about 1 1/2 to 1 3/4 cup of Chili power to make the rub. Use about 1/2 of the rub it made. First I patted dry the brisket and lightly coated it with Frank's Red Hot Chili Lime. Then rubbed with the above rub. I will be spritzing with lime juice and Frank's Red Hot Chili Lime. Plateaued at 140 F for 3.5 hours. OK it was not at 160 F I had a brand new probe therm and it failed. 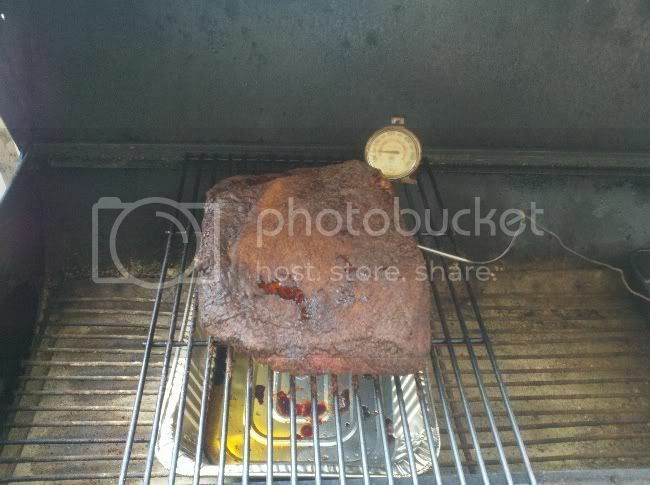 When I checked it with my instant read the brisket was at 178 F. I pulled and foiled it. But it was to late. Once it reached 194 F I wrapped it and let rest 1.5 hrs. But the damage was done. It was very dry. Also there was too much lime flavor and almost no smoke ring. The questions that I had were. 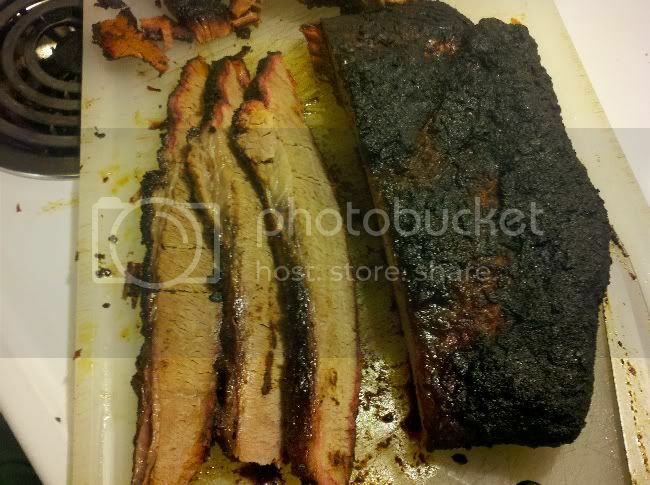 Was the lime what caused the brisket to not get a smoke ring? Did it contribute to how dry it was? Oh well you win some and loss some. Is the Frank's spicy hot? Not any more then Tabasco is. Might be able to turn that into some good mexican fare with the chile/lime goin on there. Beef enchiladas, topped off tostadas. Mexican beef lime salad. I give you an A for steppin outside the box. I don't know what dried it out, but it wasn't because you didn't foil earlier. 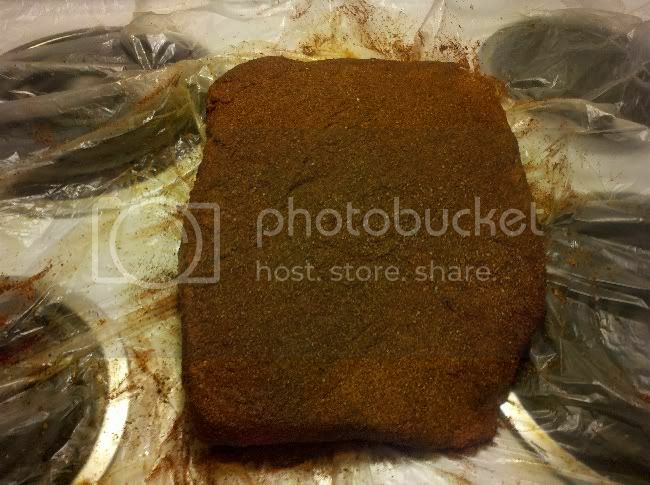 I rarely foil anything during the cook and I do not cook dry brisket. Many folks cook w/o the use of foil and end up with moist product. I don't know what caused your dry brisket. The recipe itself...to me...it does not sound good to me. 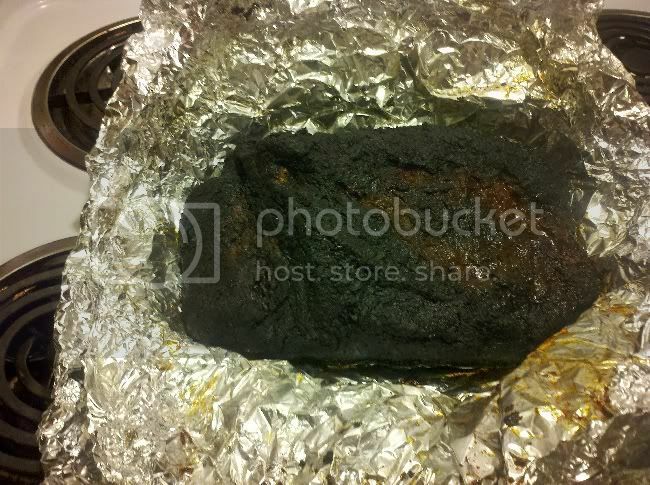 I'd try for a big pot of chili with what's left of that brisket. Best of luck. You don't say what temperature the pit was at? 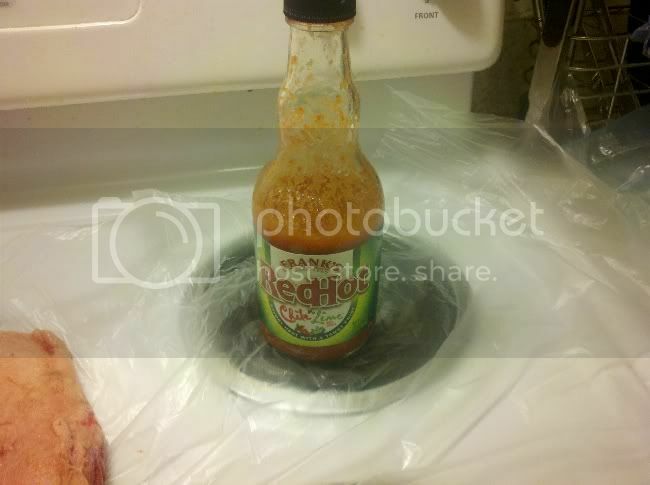 Rather than putting a pan underneath, try cooking the next one in a pan. You can turn and flip them in the pan to get an even smoke all the way round, you can also capture all the juice that is otherwise lost, and that allows you to keep more moisture in the meat IMO, as it allows for re-absorption during the rest period. Just a thought, but won't the acidic juices, like lemon and lime, cook the meat? It does on fish. I think the basic recipe is fine. True, lime juice (or any acid) will cook (not really, but they do 'set' the proteins) on seafood as Gunny suggested, but that works because of the low fat levels in fish as well as a different protein structure and less (or no) connective tissue. I think the problem here was just plain overcooking. Beef is medium rare at 145 deg, well done at about 180. You cooked to 194 then rested, but the damage was already done. I'd try again but pull it and wrap it in foil and rest when the internal temp gets to about 155-160. This may not pull into small shreds, but will definately be moist and juicy for slicing. Try this one again at a lower finished temp and I'm sure you'll be happier - good luck! Mikey, at 155-160 a brisket is so freaking tough that a rabid dog couldn't pull it apart. Ya gotta take em to 195 before you can even sink your teeth in em. Not really on beef, chicken, pork, seafood and lean stuff it will. The more I look at the pics and read the post I'm a little perplexed. 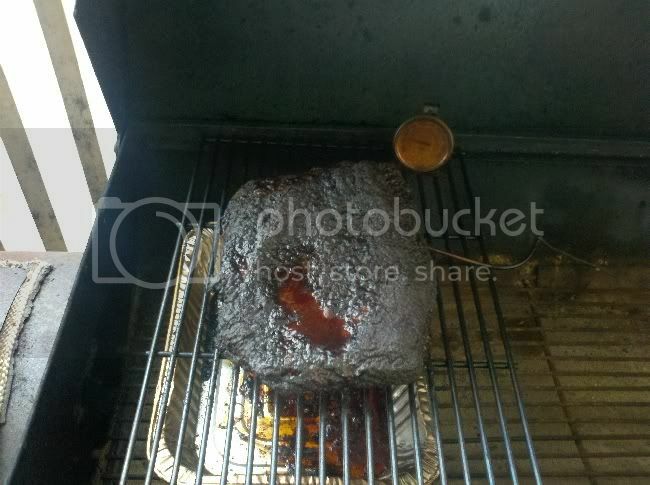 Its possible you just got a bad brisket. The fact that your slices are holding together and not shredding apart in little pieces is indicative that you cooked to the correct temperature...well maybe a few degrees overcooked. Its possible that the acid in the rub inhibited the formation of a smoke ring...but I'm not a chemist...my grandfather was but he's long dead.